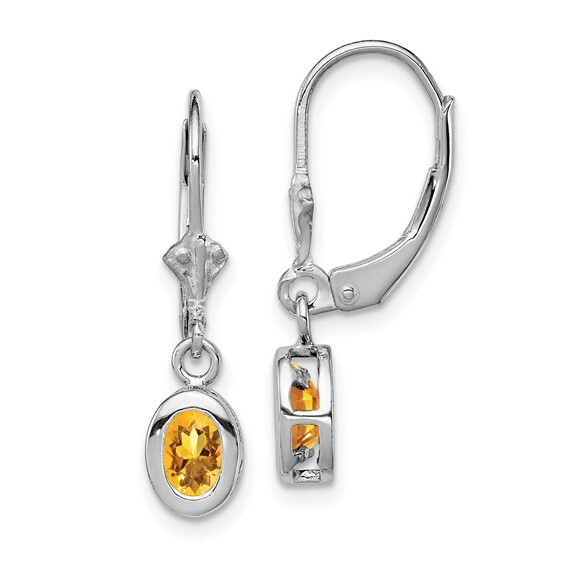 6x4mm oval citrine leverback earrings are made of polished sterling silver. Bezel set. Weight: 1.37 grams. Made in USA.